It will be a week of festival during August 15th and 23th. 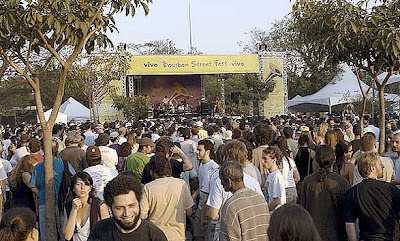 The 7th Bourbon Street Fest 2009 brings free concerts to the Rua dos Chanés (Chanés Street) and Ibirapuera Park, five nights on the stage of the Bourbon Street Music Club, truck-stage traveling with a street band and workshop in the Heliopolis slum. That's is the program for the festival. Among the attractions are the pianists and singers Marcia Ball and Carol Fran, the pianist Joe Krown and the trombonist and composer Glen David Andrews. The highlights are the mixture of rhythms of Kurt Brunus, the trumpeter Leroy Jones, Big Sam and his balance and Sunpie funk, zydeco accordionist and his Caribbean rhythms. Dixie Square Jazz Band and Dj Bebeto are the Brazilian sauce to the festival. The Chef Viko Tangoda has created a special menu to follow the great music during the festival. His recipes are based on black culture, French, Spanish and indigenous. Come up to have some fun and feel a bit of the New Orleans in your vein. When: August 15th (Saturday), at 3h30pm. What's up: Dixie Square, Glen David Andrew, Marcia Ball, Kurt Brunus Project. When: August 18th (Tuesday), at 9pm. What's up: Glen David Andrews, Leroy Jones Quintet, Marcia Ball. When: August 19th (Wednesday), at 10pm. When: August 20th (Thursday), at 9h30pm. 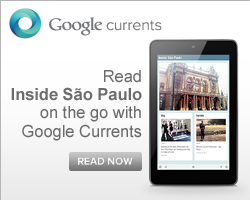 How Much: R$ 200 if bough before Friday (August 21th). How Much: For free and out door.